Provide HIV education and capacity building support for health care providers. The Colorado AETC provides in-person, online, and distance-based training. Download the Colorado AETC brochure. 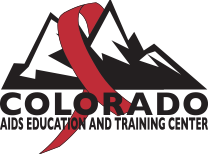 The CAETC is affiliated with the Mountain West AIDS Education & Training Center.